DP500i structure is based on a highly innovative design. 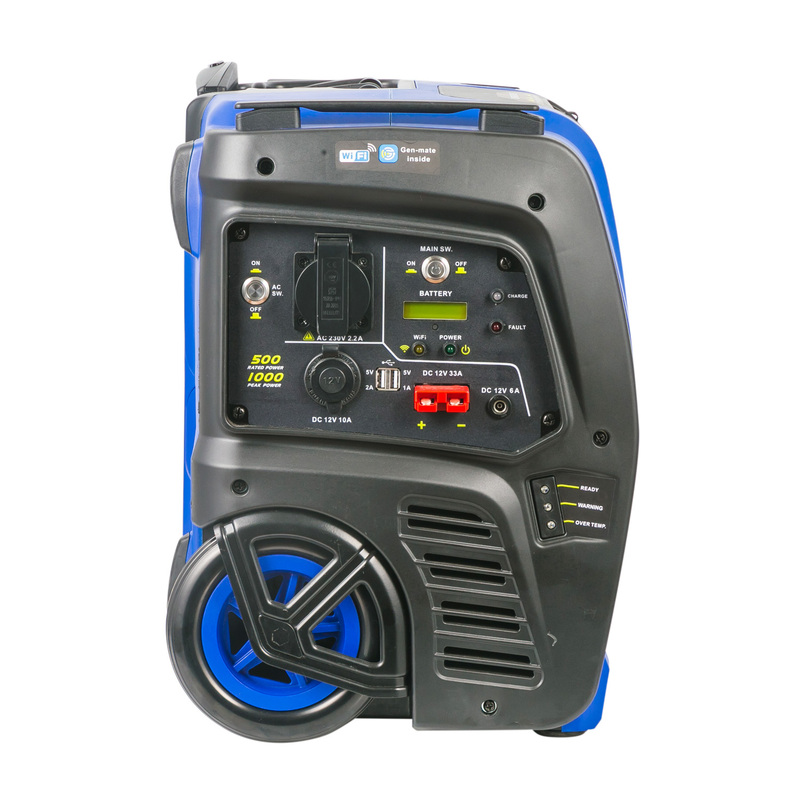 With large capacity lead-acid batteries equipped in, it gains strong cruising power under the promise of super safety. The multi-protection of overcharge, overdischarge, short circuit and high temperature greatly prolongs the service life of smart mobile power. It can be recharged from solar panels(DC) or a regular wall outlet(AC). And various AC/DC output interfaces almost can meet all the demands of different electricity occasions. 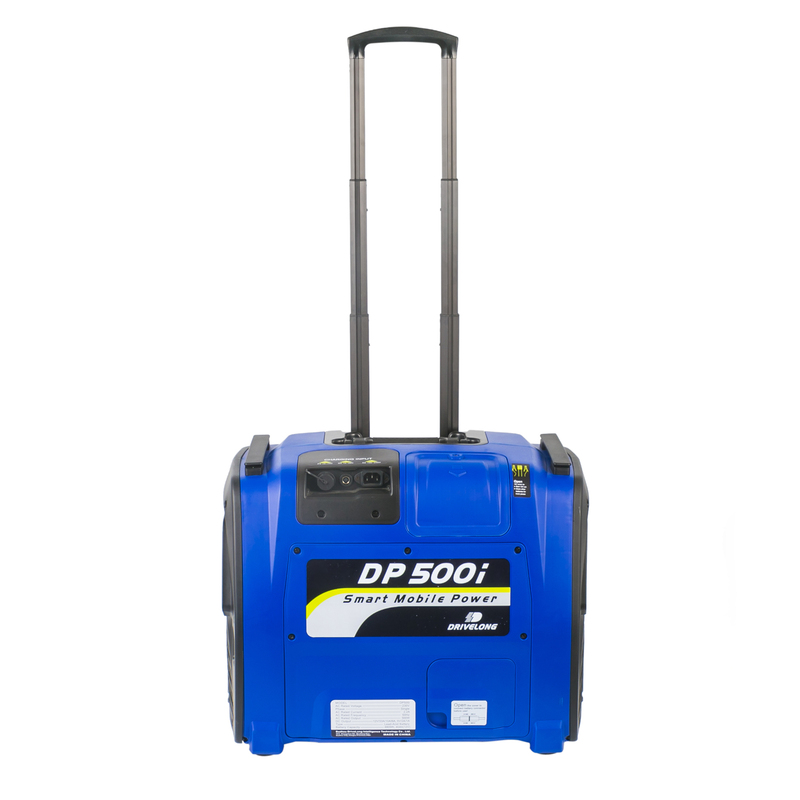 DP500i is equipped with wheels and drawbars on the side, which enables the user to experience "zero gravity" while carrying this large capacity mobile power. 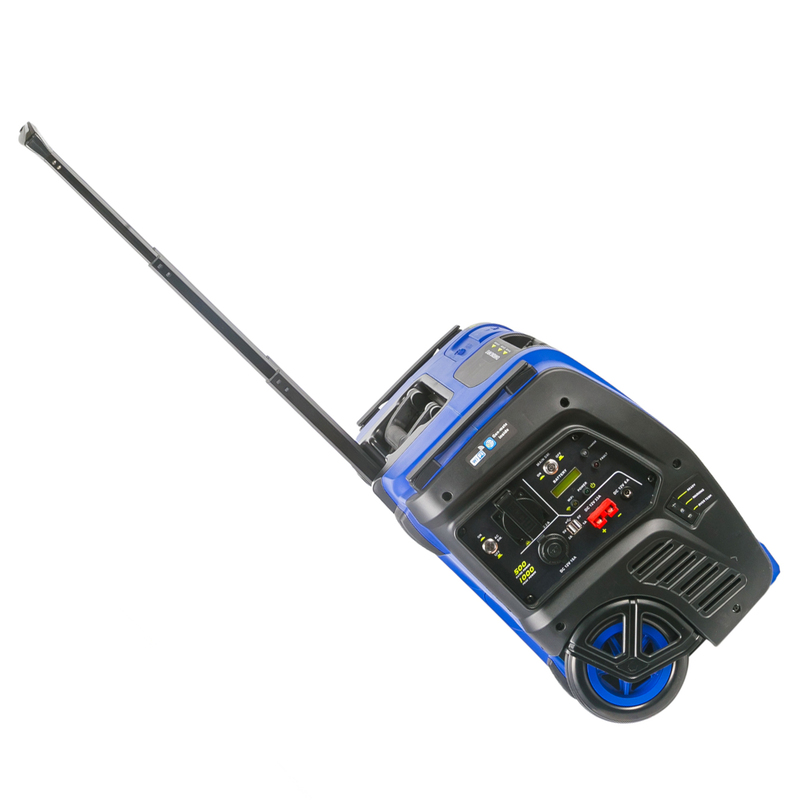 DP500i is equipped with Gen-mate wireless monitoring and control system inside. This allows user monitor and troubleshoot via their smartphone in real time. Also thanks to the Gen-mate system,the unit can remind you it’s time to recharge or maintain. So with Gen-mate we can achieve intelligent management of mobile power. 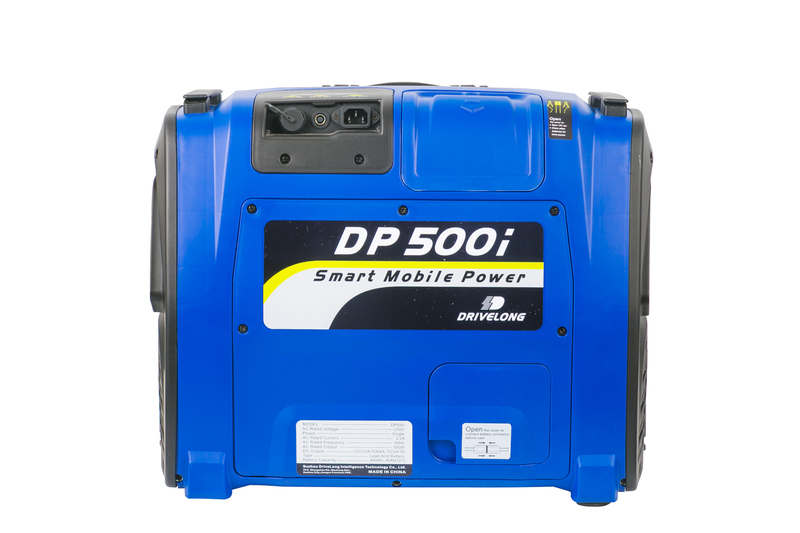 With the DP500i Portable Power Station, you have the power to back up your life in any situation. With no fuel, exhaust or noise, just enjoy unlimited power from the wall or the sun. 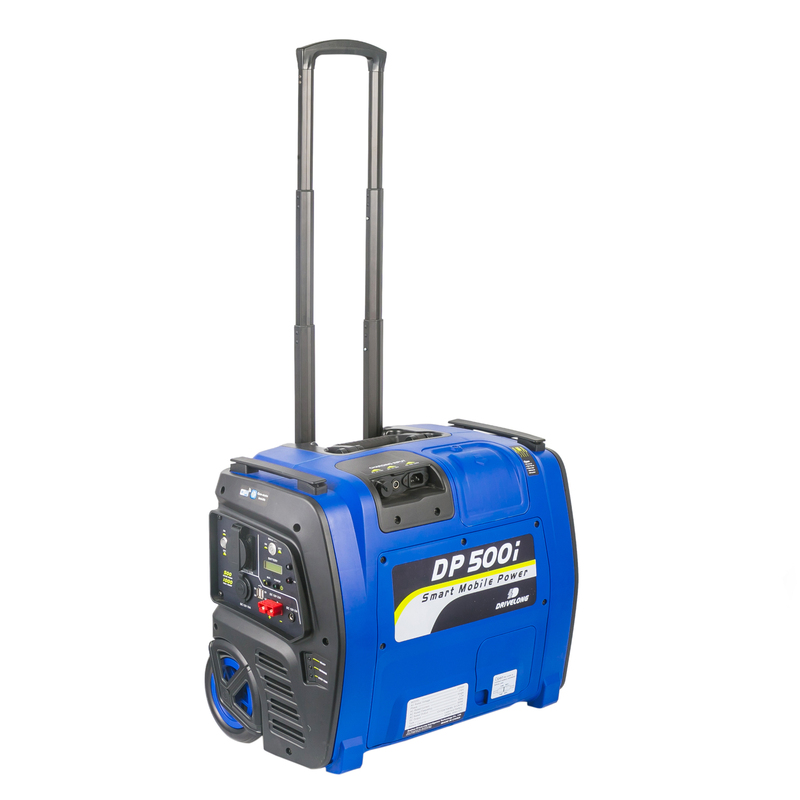 From USB to AC, the DP1000i features the outputs you need to get the job done both indoors and out. 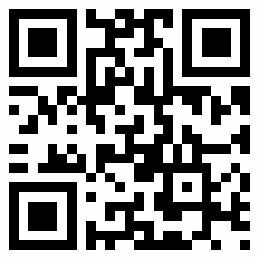 It is ideal for Lights, Smartphone, Tablets, Laptops, Fridge, TV, Backup, Emergency, Power tools and Medical, etc. 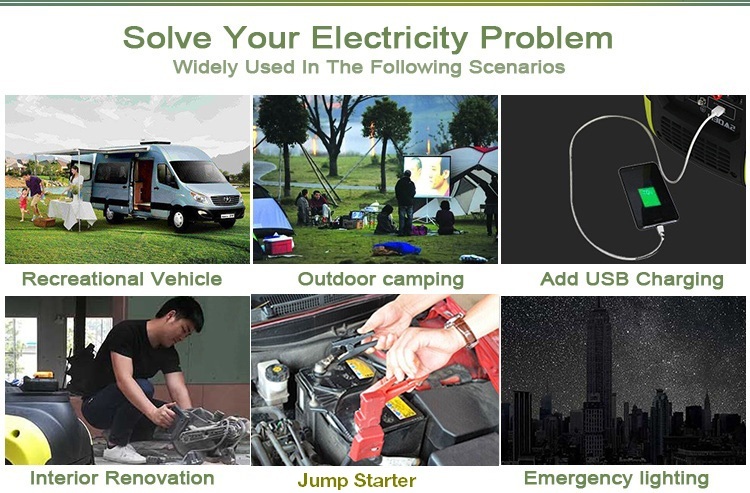 It can help you easily get rid of power grid constraints, enjoying freedoms of electricity.